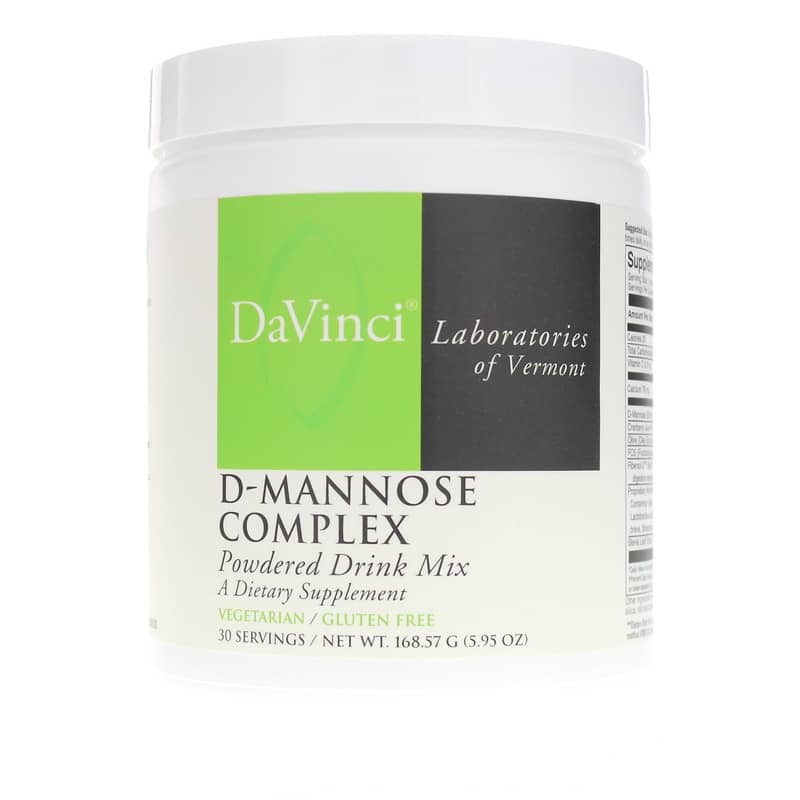 D-Mannose Complex Drink Mix from DaVinci Laboratories is a dietary supplement that supports the immune and urinary tract systems. 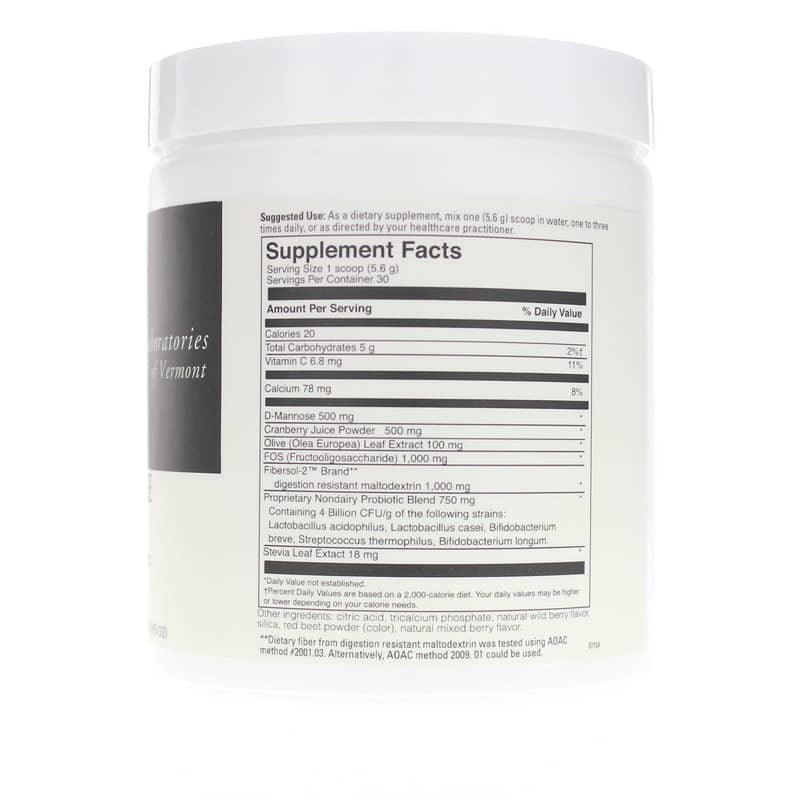 D-Mannose is a glyconutrient, or one of eight types of sugars, or saccharides, that formulate crucial compounds within the body. Antibodies and digestive enzymes, for example, are glycoproteins that help the body's cells to communicate with each other. D-mannose also helps the body get rid of bad bacteria. The bacterium displaced by D-mannose may be responsible for 80%-90% of urinary tract infections. And D-mannose does not affect blood sugar regulation, as it goes directly into the bloodstream from the kidneys to the bladder. 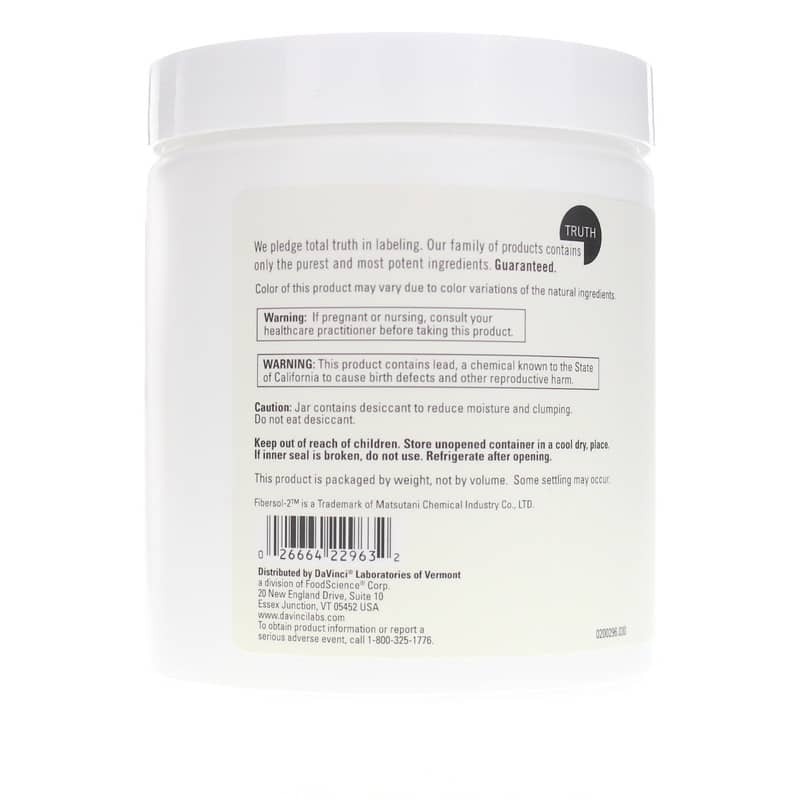 Fibersol-2 is a trademark of Matsutani Chemical Industry Co., LTD. Contains NO: citrus, rice and added yeast. Adults: As a dietary supplement, mix one (5.6 g) scoop in water, one to three times daily, or as directed by your healthcare practitioner.